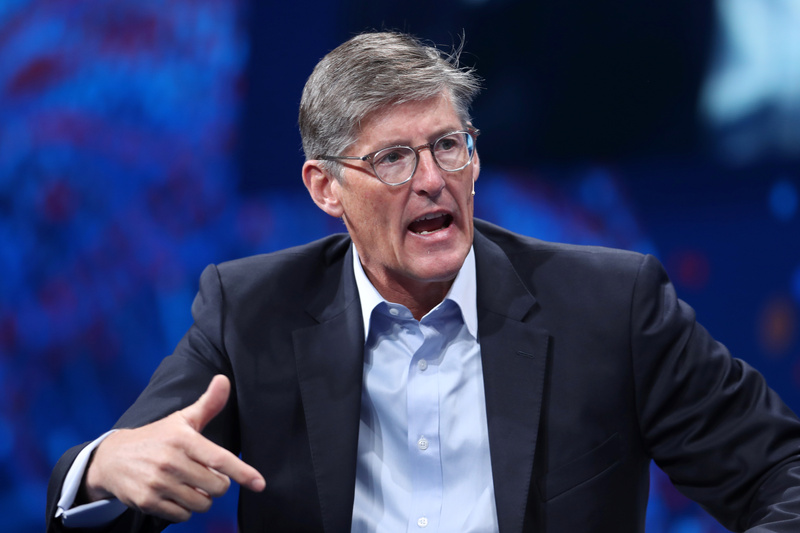 Mike Corbat is making the $138 bln bank more efficient, but with activist ValueAct now inside the tent, there’s a chance to accelerate his push to catch up with rivals. There’s fat to trim, even without changes to strategy and governance. Corbat has a year to get more ambitious. Michael Corbat, CEO of Citigroup, speaks at the Milken Institute's 21st Global Conference in Beverly Hills, California, U.S. April 30, 2018. Citigroup on Jan. 14 reported fourth-quarter earnings applicable to common shareholders of just shy of $4 billion, or $1.64 a share. That beat the consensus estimate of sell-side analysts of $1.57 a share, according to I/B/E/S estimates from Refinitiv. Revenue of $17.1 billion fell short of the estimated $17.6 billion. On Jan. 11 Citi said it has entered in an "information sharing and engagement agreement" with ValueAct Capital. This will allow the hedge fund to see confidential information and have better access to both executives and board directors. The agreement lasts until December 2019. ValueAct will not yet seek a seat on the board as it already has one at Alliance Data Systems, which competes with Citi in parts of the credit-card business. ValueAct owns some 32 million shares in Citi – equivalent to roughly 1.3 percent. That makes it the bank's sixth-largest shareholder, according to Eikon data.